You’ve seen them on television’s Tiny House Hunters or Tiny House Nation - small homes that typically range from 150 to 500-square feet. But you don’t have to commit to the tiny lifestyle to experience one for yourself. Across the USA, tiny house hotels are cropping up, giving guests - even families - the opportunity to live big in a small space. We've found the very best tiny stays with enough room for families, sometimes even the dog. These places are packed with more fun that you'd ever expect! You can’t talk about tiny house hotels without recognizing the original. Definitely the first in the USA, maybe even the first in the world, Caravan, The Tiny House Hotel is in the heart of Northeast Portland’s vibrant Alberta Arts District. 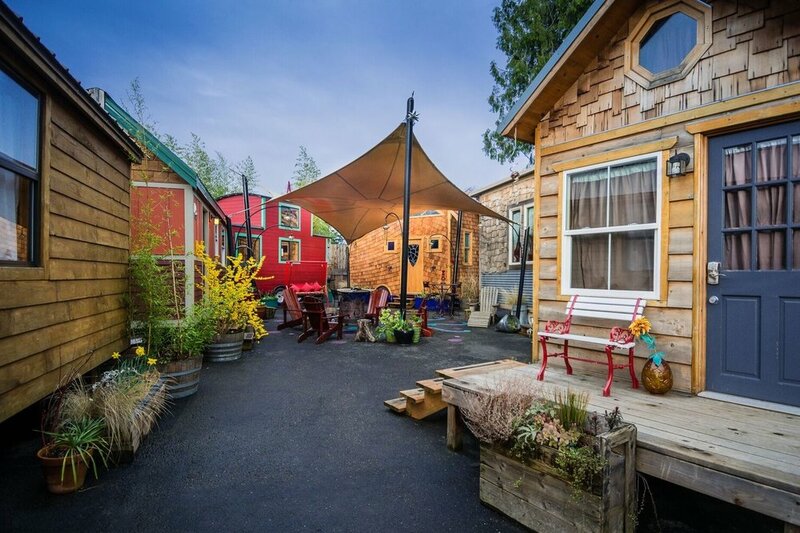 The tiny houses are just as funky and fun as the surrounding shops and restaurants. Speaking of food, if you have young foodies in the family, you’re in luck, as this neighborhood has some of the city’s best! Every effort is made to give you a true Portlandia experience - from the Fair Trade soap to the vegan marshmallows for s’mores. Families today are often on the move, especially in Boston and New York City where bustling is the norm. 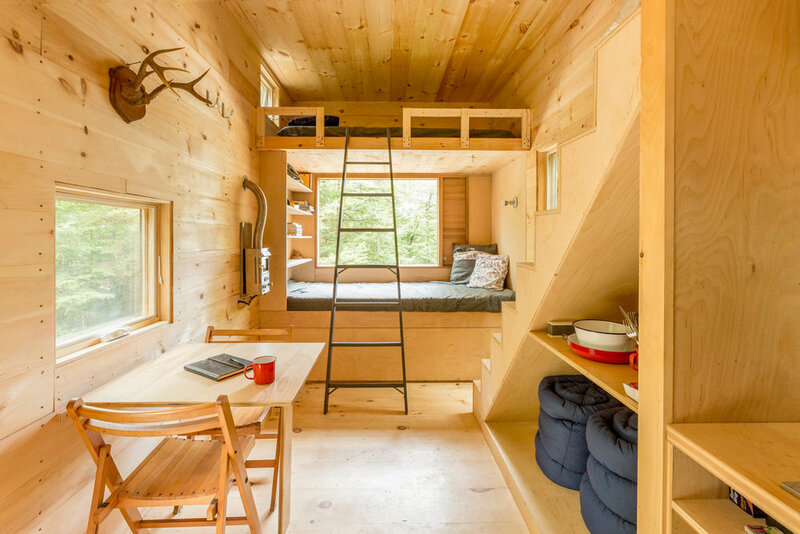 Getaway offers city dwellers the chance to escape to a secluded tiny house surrounded by nothing but leafy trees, babbling brooks, and a crackling fire - no more than a two-hour drive from the city. Frankly, it’s kind of magical. And mysterious! You won't know your exact location until two weeks before check-in. You know a place is special when you don’t want to leave. The place? Rolling Huts in Washington State’s incredibly beautiful Methow Valley on the edge of the North Cascades mountain range. Designed by renowned Seattle architect Tom Kundig, these tiny homes claim to provide the “ultimate camping experience.” They don’t disappoint! The six modern huts are situated on a beautiful piece of property along the Methow River. Each hut has a stunning view of the mountains and a large meadow dotted with aspen trees. Rolling Huts is the perfect launching point for endless, all-season, outdoor pursuits: hiking, trail running, mountain biking, rock climbing, horseback riding, water sports, cross-country skiing, snowshoeing, fat biking, sledding, tubing, ice skating, backcountry skiing, alpine skiing, and snowboarding. If you’re curious, adventurous or just plain tired of the ordinary and need to get away, Tiny Digs Hotel is a relaxing and refreshing place to try out tiny living. 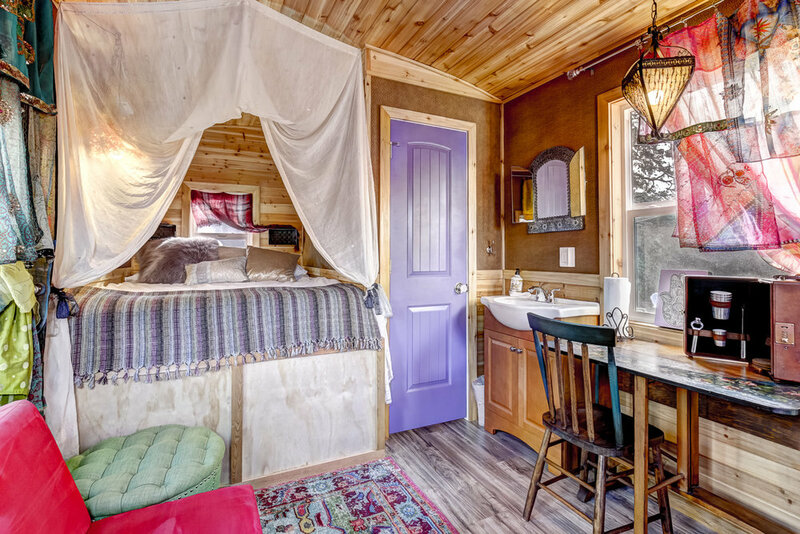 With six tiny houses available to stay in (and more on the way - each with their own distinct point of view) you have plenty of options for how you want to kick back. And with the fun, inner-Eastside Portland location, you’re conveniently close to the airport, the Pearl District, and all the shops and restaurants downtown Portland is known for. Plus, it’s a great home base for families to do what true Portlanders do - explore by a bike. Located in stunning Jackson Hole, you'll find hip cabins at Fireside Resort. What the tiny, modern modulars lack in square footage, they more than make up for in Western charm. And you can't beat the location near epic skiing at Jackson Hole Mountain Resort and not too far from Grand Teton and Yellowstone National Parks. Colorado’s first tiny resort, WeeCasa is located in the small town of Lyons and offers 17 sustainably-built, tiny homes. During the winter, skiing is only 45 minutes away at Eldora. In the summer, you can go kayaking, fly fishing, biking, and hiking. 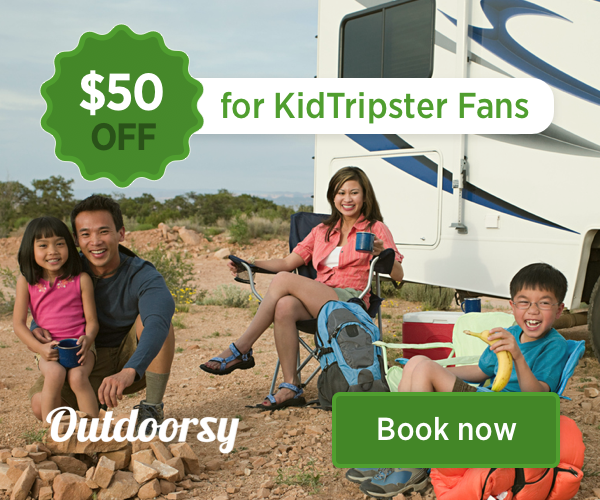 And WeeCasa is only 25 minutes from Rocky Mountain National Park. Surrounded by Mt. Hood National Forest, take your pick between a winter getaway or a summer retreat. The adorable, quaint, and immaculate Mt. Hood Tiny House Village is located right off of Mt. Hood Highway (also known as Highway 26) in the small town of Welches. This magical spot puts you a half-hour’s drive from the top of Mt. Hood, where you can ski, snowboard, hike or simply take in the spectacular views on a clear day. Writers Orion Ludlow, Julie Connell, Jackie Labrecque, Amy Sward, Anita Kissee, Carla Corban Kath, and Shellie Bailey-Shah contributed to this article. Writers received complimentary stays for the purpose of this review. However, all opinions expressed are solely their own.